Buffalo’s Billionaires – hailed as “philanthropists” – profit at the public’s expense. Undoubtedly, a $30 million donation – regardless of its tax-deductible status, and whether or not it represents less than one percent of Mr. Jacobs’ estimated $4 billion net worth – is staggering. From my perspective, however, a “philanthropist” is a person who does more than make a generous gift – she or he actively promotes human welfare and social reform. Jeremy Jacobs, with his billions, and Terry Pegula, reported by Forbes as having an estimated $4.6 billion net worth, were recently in a position to demonstrate a true commitment to the future of Western New York. As billionaires, the Jacobs and Pegula families could afford construction of their respective downtown Buffalo projects without the necessity of financial assistance in the form of real property tax abatements, sales tax credits, and other manner of corporate welfare. Proceeding without taxpayer-funded aid would have set a significant example for other well-heeled developers, and would have constituted a highly visible first step in restoring a semblance of integrity to our political system. But, motivated perhaps by a sense of entitlement, Buffalo’s Billionaires chose profit over the promotion of political reform and human welfare. Despite being owned by one of the Nation’s wealthiest citizens, a Buffalo-bred company won hundreds of thousands of dollars in tax breaks Monday, to ensure it stays in the Queen City for foreseeable future. The Erie County Industrial Development Agency (ECIDA) board of directors voted unanimously to grant Delaware North, owned by billionaire Jeremy Jacobs, $807,000 in sales tax abatements, so that it can move its corporate headquarters from the Key Center, approximately two blocks to a new $80 million building proposed by Uniland Development at the corner of Delaware Avenue at Chippewa. What is most troubling about the Governor’s call to “philanthropist” Jacobs is the fact that the Buffalo billionaire had made a $50,000 donation in June 2010 to Mr. Cuomo’s campaign, and contributed an additional $11,250 to Andrew Cuomo in August 2014 during the Democratic primary skirmish between the incumbent Governor and challenger Zephyr Teachout. Western New York cannot afford to repeat the mistakes it made generations ago when businesses placed profits over clean air, clean water and the health of residents. The Buffalo Billion must be allocated without favoritism, and the selection process should be transparent. Winners must include local companies and small businesses that truly need the assistance to grow. Certainly the commitment of 20 percent of the Buffalo Billion to one project, RiverBend – a project that has repeatedly changed in size and scope – should be carefully re-evaluated. It may only be a coincidence, but it is demoralizing for competing companies, taxpayers and residents to learn that two prominent Buffalo developers, LP Ciminelli and Uniland Development, were awarded major developer status for two Buffalo Billion projects following sizable contributions to Andrew Cuomo’s 2014 campaign. Meanwhile, the Pegulas (frackers who who made their fortune in oil and natural gas) possess the wealth needed to spend a total of $1.6 billion to purchase the Buffalo Sabres and Buffalo Bills and develop HarborCenter. And, as expressed by a longtime confidant of the billionaire couple, they were “not upset at all” that the final price tag for constructing “something very special” alongside Buffalo’s Inner Harbor exceeded initial projections by approximately $40 million. … The ECIDA approved a nearly $37 million tax incentive package that includes $28 million in property tax breaks over 10 years, $7.5 million in sales tax savings and $1.2 million in mortgage-recording tax breaks. But I do not want to understate the political donations made by the Pegulas. New York State records show that between September 13, 2013 and October 25, 2014 – a mere 13-month period – Kim and Terry Pegula made personal contributions totaling $67,000 to Gov. Andrew Cuomo. There is no way we can rationally deny the ugly fact – so aptly captured by Buffalo News political cartoonist Adam Zyglis on September 18, 2015 – that Buffalo is indeed a “Tale of Two Cities,” with a spruced up waterfront and a morally-unacceptable poverty rate. Given this reality, we need billionaire philanthropists who will refuse to partake in corporate welfare and, instead, work toward a political system were the voices of Buffalo’s average citizens can be heard over the deafening roar of corporate money. I won’t hold my breath. As lawyers for developers well know, a “brownfield” is a parcel of land that may be difficult to reuse or redevelop because of the presence or potential presence of contamination. As described by the State, the brownfields program provides tax credits to developers to encourage the voluntary cleanup of contaminated properties so that they can be reused and redeveloped, and to reduce development pressure on “greenfields”. I am in no way excusing the manner in which brownfield-related tax credits have been used to subsidize New York City area projects. But, when evaluated by the criteria utilized by the Buffalo News when criticizing “opportunistic downstate developers,” HarborCenter, the development being built by Terry and Kim Pegula on the Inner Harbor’s “Webster Block,” certainly appears undeserving of special tax relief. First and foremost, as heralded in Mayor Byron W. Brown’s April 2012 press release soliciting proposals for the “Webster Block,” the former parking lot located directly across from the First Niagara Center was “the most sought after parcel of land in the Buffalo-Niagara Region … considered a prized downtown parcel due to its location in Downtown Buffalo, its proximity to Buffalo’s waterfront, two major sports venues, and the Peace Bridge.” [Also see Mayor Brown’s 08/29/12 announcement selecting the HarborCenter proposal for the Webster Block site.] To suggest that the Pegulas needed the extra incentive of brownfield tax credits to proceed with their hockey-focused project – adjacent to the home of their Buffalo Sabres – is naïve, at best. Terry Pegula’s intention was to create a magnet for hockey lovers that would include the National Hockey League’s only three-rink complex by connecting the new facility with First Niagara Center. No other location would accomplish his goal, and existing green space in the Buffalo area was not threatened by the HarborCenter proposal..
As described in a February 2013 Buffalo News article, the Pegulas planned to spend $8.7 million to clean up the HarborCenter site, and anticipated receiving $20 million in state brownfield tax credits. That tidy profit is on top of the nearly $37 million incentive package the billionaire couple received from the Erie County Industrial Development Agency (ECIDA) in real property and sales tax relief. One could easily conclude that WNY developers can be as opportunistic and undeserving as their downstate counterparts. We are repeatedly told that Buffalo is undergoing “a dramatic transformation” and experiencing an “economic rebirth” and “building boom” not seen in decades. These self-serving pronouncements are premature and overblown, whether made by the local press, Gov. Andrew Cuomo, or his legion of yes-men (and women) such as Howard Zemsky, CEO of the Empire State Development Corp.
As veteran reporter and Investigative Post founder Jim Heaney observed recently: while Buffalo was in the midst of its “building boom” last summer, the Queen City had 4 construction cranes piercing the sky; Toronto had 154. Unfortunately, the true lesson that the public should take from Buffalo’s so-called “economic rebirth” is profoundly troubling and anything but exemplary. (1) The government decision-makers “fast-tracked” their approvals by circumventing SEQRA’s Environmental Impact Statement (EIS) process. The EIS is “the heart” of SEQRA (the State Environmental Quality Review Act). When done correctly, the EIS provides a “hard look” at the potential significant adverse impacts of a proposed action, and a detailed description and evaluation of reasonable alternatives and mitigation measures. Importantly, it offers the public a meaningful vehicle for input by mandating a minimum 30-day “public comment period” at an early enough stage in the planning process that true flexibility exists. (2) Large sums of taxpayer money and “corporate welfare” have been allocated to the three projects. The State of New York intends to invest $225 million in the Innovation Hub project to provide roads and infrastructure at the site, construct the first two of six buildings, and purchase and own expensive scientific equipment. The Erie County Industrial Development Agency (ECIDA) has agreed to provide billionaires Terry and Kim Pegula an incentive package of nearly $37 million for the HarborCenter development, a 19-story, 650,000-square-foot project, including $28 million in property tax breaks over ten years, $7.5 million in sales tax relief, and $1.2 million in mortgage tax breaks. 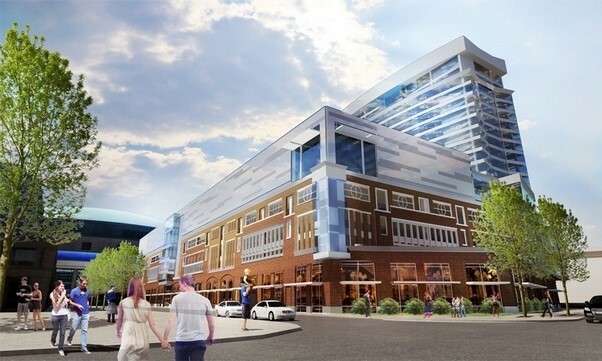 Additionally, the HarborCenter developers can anticipate receiving $20 million in brownfield-related tax credits for spending $8.7 million to clean up the former parking lot site. Not surprisingly [see the note below], Gov. 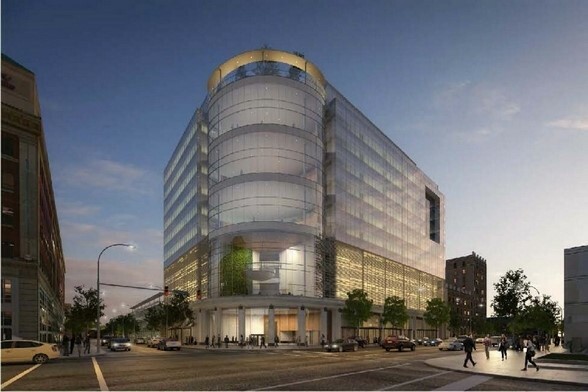 Cuomo used his influence to make certain that the Jacobs – another billionaire family – obtained a controversial $807,000 in sales tax relief from the ECIDA to subsidize the two-and-a-half block move of the Delaware North Companies’ headquarters from the Key Center in the 500 block of Buffalo’s Main Street to 250 Delaware Avenue. Uniland Development, Delaware North’s partner in constructing the 12-story, 472,320-square-foot mixed use development (with 4-story parking ramp) at the corner of Delaware Ave. and Chippewa Street, obtained $3.2 million in real estate tax relief from the ECIDA. The most prominent example of an economic development process that should not be replicated is the Innovation Hub at RiverBend. The governor has promised $225 million – nearly one-quarter of the so-called Buffalo Billion – to this one project. In order to ensure a quick, pre-election start to the centerpiece of Mr. Cuomo’s redevelopment campaign, the College of Nanoscale Science and Engineering (CSNE) – an arm of the State University of New York – allowed construction to proceed on the 90-acre, nearly 1 million square-foot manufacturing and research-and-development complex without preparation of an Environment Impact Statement. 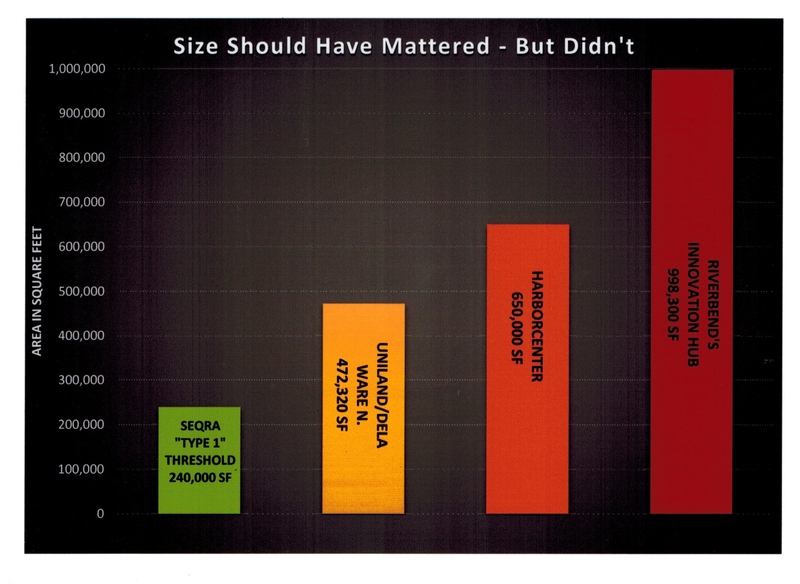 SUNY’s CSNE disregarded SEQRA’s presumption that the comprehensive environment assessment mandated by the EIS process is required whenever a proposed project meets any one of the thresholds for what SEQRA calls a “Type 1 action.” Two of those thresholds are particularly relevant here. 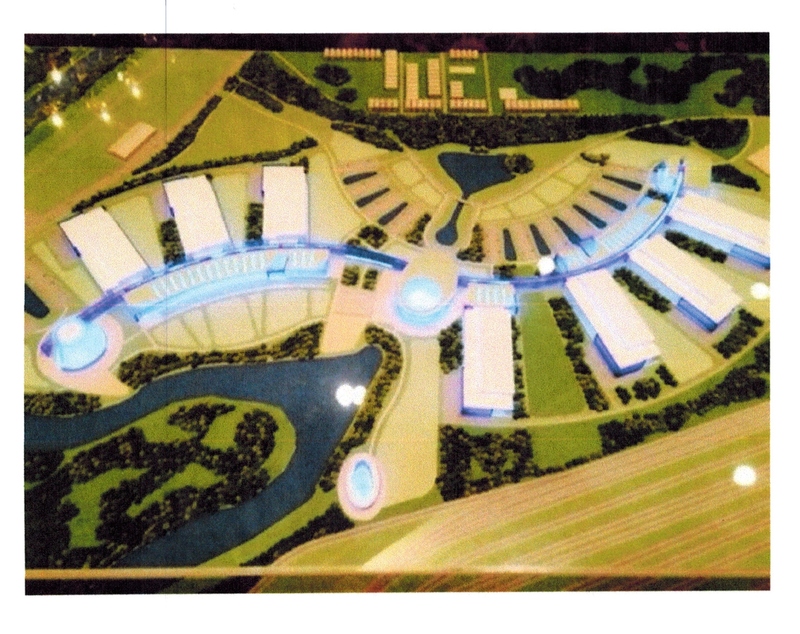 The Innovation Hub project involves the physical alteration of 90 acres of land, which is nine times the 10-acre threshold for a “Type 1” action. It also entails the construction of nearly one million square feet of buildings – more than four times SEQRA’s 240,000-square-foot threshold triggering the presumption that an EIS be prepared. It is rather ironic – if not perverse – that Cuomo and Zemsky have chosen to transform Buffalo into “the capital of clean energy” by ignoring SEQRA’s comprehensive environmental review process. SEQRA was enacted in the mid-1970s to prevent future development from repeating the environmental devastation that eventually led to designation of the Buffalo River’s “Area of Concern” and decades-long remedial action. The decision to place RiverBend’s Innovation Hub in a highly sensitive area along the Buffalo River prior to conducting the proper environmental review to determine if the site is appropriate for such activities is, at a minimum, indefensible and irresponsible. We cannot rationally and responsibly research, develop, and manufacture “clean energy” products if the process of doing so harms the surrounding environs, which includes the Lake Erie shoreline. Neither the environment, nor New York’s taxpayers, can afford to use the Buffalo Billion or the Queen City’s “economic rebirth” as a role model for future development.